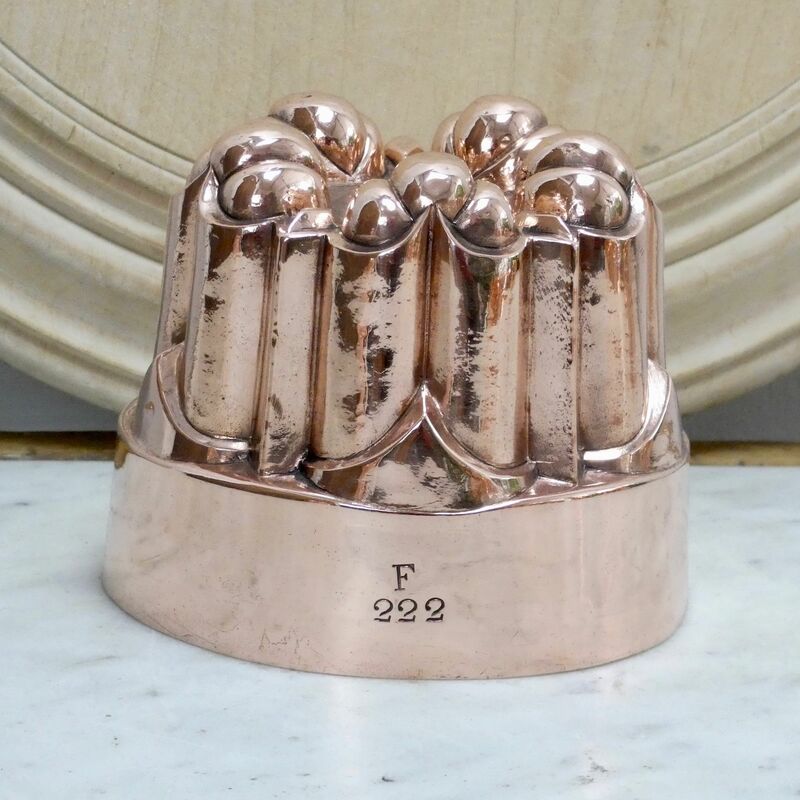 A good quality, mid sized, French copper mould. 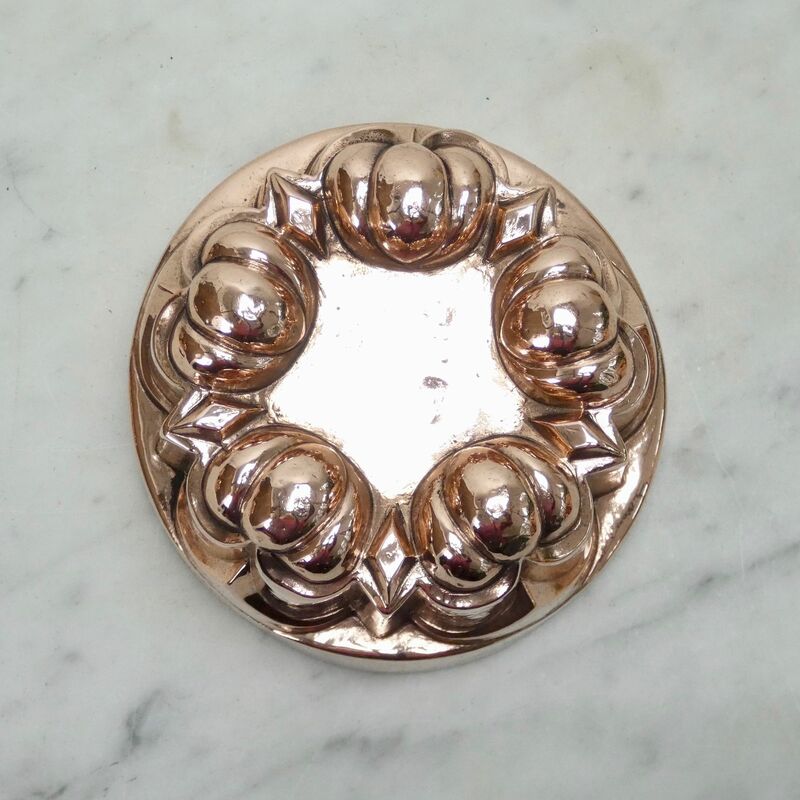 This mould is made from a substantial gauge of copper and it dates from c.1890. It is marked with a number '222' beneath the letter 'F'. This would be a pattern number. 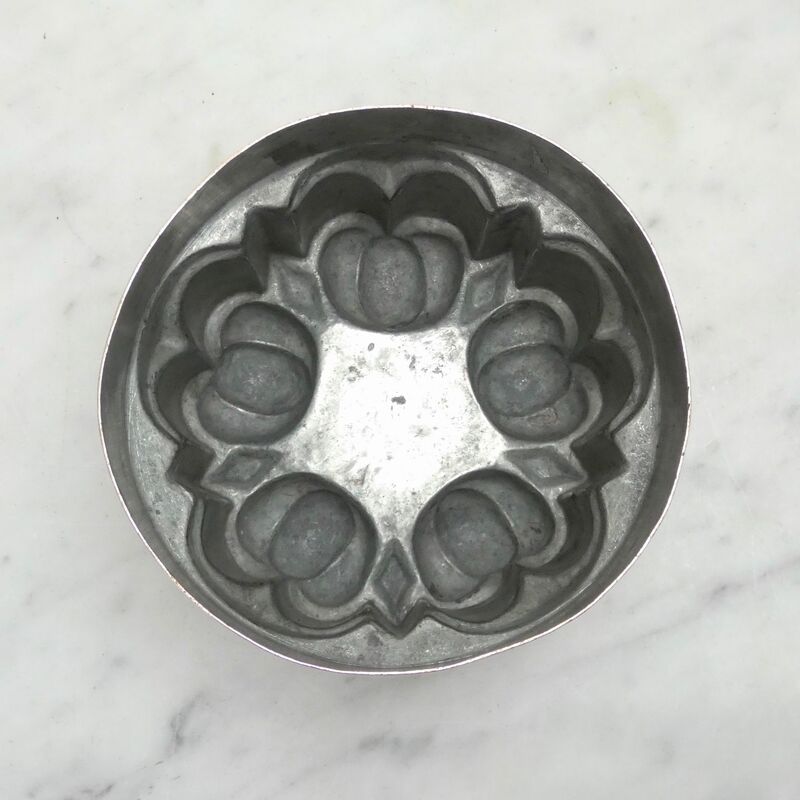 The design on the top of the mould has five small dome shapes which resemble pumpkins. The mould is in very good condition and the tinning, to the interior, is still in good condition, so the mould could be used.